Join us from the comfort of your living room for Pulitzers in Person: a tribute to the work of the legendary poets W.S. Merwin and Lucille Clifton. The panel features poets Ellen Bass, Maurice Manning, and Camille Rankine in conversation about what makes the work of these two Pulitzer-recognized writers so extraordinary. The live stream begins at 7:00 p.m. here. 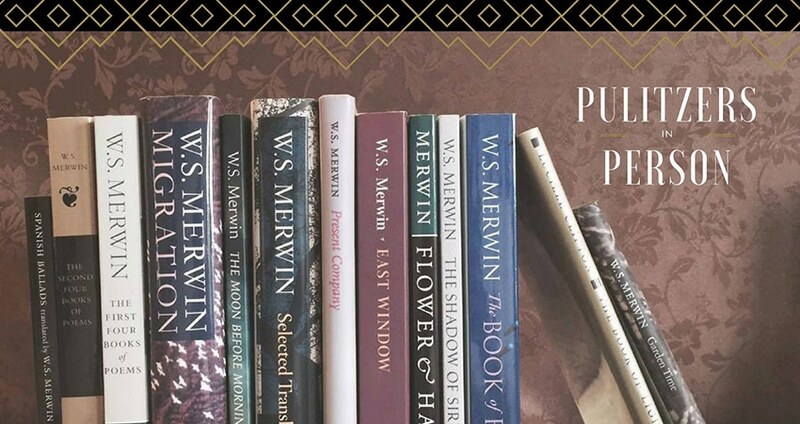 Plus join Copper Canyon Press (@CopperCanyonPrs) as they live tweet the event using #PulitzersinPerson. This is the first in a series of three Pulitzers in Person events, in which Northwest poets discuss the work of Pulitzer Prize-winners. The series continues November 3 and December 7. More details coming soon. Co-presented with Copper Canyon Press and the Pulitzer Prizes. This program is part of the Pulitzer Prizes Centennial Campfires Initiative, a joint venture of the Pulitzer Prizes Board and the Federation of State Humanities Councils in celebration of the 2016 centennial of the Prizes. The initiative seeks to illuminate the impact of journalism and the humanities on American life today, to imagine their future and to inspire new generations to consider the values represented by the body of Pulitzer Prize-winning work.